$1 for One. 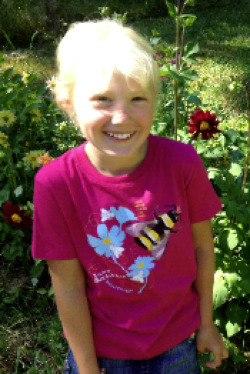 Support the extraordinary work of Xerces Society by purchasing a SpeeZees Western Bumble Bee t-shirt in Raspberry or Forest. Made from 100% GOTS certified organic cotton. 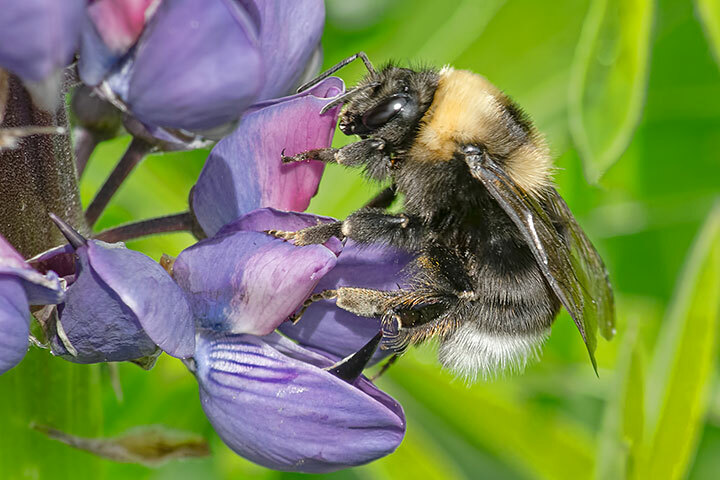 Region: The Western Bumble Bee was once very common in the western United States and western Canada but has declined rapidly from many areas since 1998. Habitat: Bumble bees are typically found in temperate regions in open meadows and prairies with a diversity of flowers. Greatest threats: The major threats to the Western Bumble Bee and to bumble bees in general include: pests and disease, habitat alteration and fragmentation, pesticide use, and climate change. Of particular concern is the potential spread of pests and diseases by commercially produced bumble bee colonies. Commercial bumble bees are also often used outside of their native range, creating the potential for the introduction of novel pathogens and competition with native species in an already difficult landscape. Western bumble bee on Mt. Hood in Oregon, courtesy of Alistair Fraser, Xerces Society. Bumble Bees are considered to be true social insects as they have communal nest sites and share division of labor. In the colony, the queen bee, drones and worker bees all have specific tasks. The queen bee lays hundreds of eggs. The male drones' main function is to be ready to fertilize a receptive queen. Worker bees do all the different tasks needed to operate and maintain the hive. The Western Bumble Bee is an excellent pollinator of tomatoes, peppers, eggplant, cranberries, alfalfa, avocado, apples, cherries, blackberries and blueberries. Western Bumble Bees are also essential pollinators in natural ecosystems, helping to provide fruit and seeds for songbirds, mammals and other invertebrates. Bumble bees - including the Western Bumble Bee - are able to fly in cooler temperatures and lower light levels than many other bees, and they perform a behavior called “buzz pollination”, in which the bee grabs the pollen-producing structure of the flower in her jaws and vibrates her wing musculature causing vibrations that dislodge pollen that would have otherwise remained trapped in the flower’s anthers. Some plants, including tomatoes, peppers, and cranberries, require buzz pollination. Prior to 1998, the western bumble bee was both common and widespread throughout the western United States - northern California, Oregon, Washington, Alaska, Idaho, Montana, western Nebraska, western North Dakota, western South Dakota, Wyoming, Utah, Colorado, northern Arizona, and New Mexico - as well as in western Canada. Since 1998, this bumble bee has undergone a drastic decline throughout some areas of its former range. While viable populations still exist in Alaska and east of the Cascades in the Canadian and U.S. Rocky Mountains, the once common populations of central California, Oregon, Washington and southern British Columbia have largely disappeared. $1 from every SpeeZees Western Bumble Bee tee supportsPortland Oregon-based The Xerces Society, a nonprofit organization that protects wildlife through the conservation of invertebrates and their habitat. If you'd like to make a donation to The Xerces Society click here. 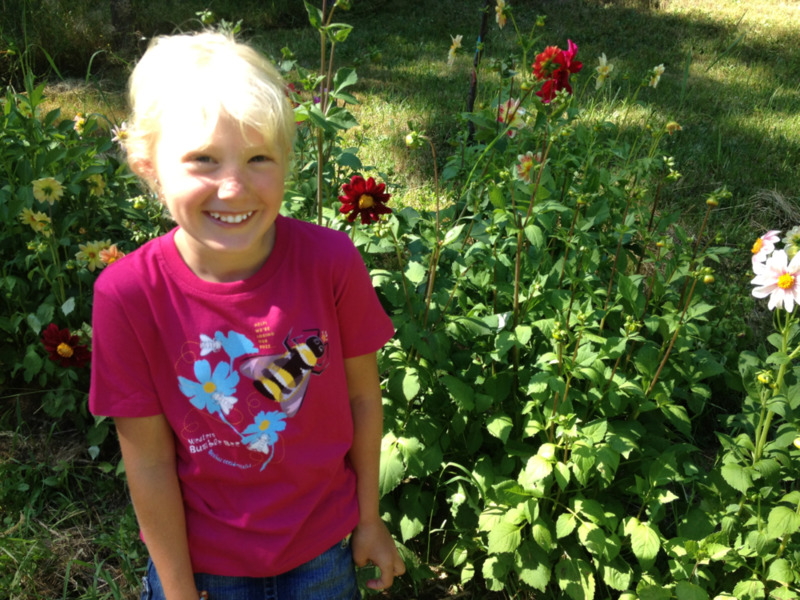 Over a thousand people have already signed Xerces pledge to protect pollinators. Will you join them? Saving the Bumblebee: This short film is about the plight of the humble bumblebee which has declined dramatically in numbers and range during the 20th Century in the UK, to the extent that half of the 25 British species are now rare and 2 are extinct.